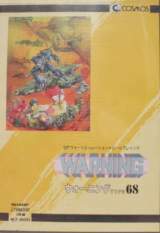 Warning Type 68 © 1988 Cosmos Computer. Released on December 12, 1988 in Japan. Retail price: 7800 Yen.